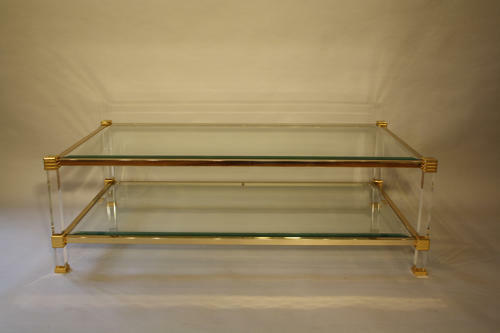 A good size lucite and gold metal two tier glass shelf rectangular coffee table. French c1970. In great original condition.